The U.S. Botanic Garden strives to makes its collection, programming and facilities accessible to ensure a successful museum visit for all visitors. For additional information, please contact Maura Nelson, mnelson@aoc.gov or 202-226-1047. All parts of the Conservatory and outdoor gardens are accessible. Our overhead jungle canopy in the Conservatory is accessible by elevator. For more information about specific accessible routes through the Conservatory and outdoor gardens, please inquire at the visitor information desk upon arrival. Admission to the U.S. Botanic Garden is free. The Conservatory and National Garden are open every day of the year from 10:00 AM until 5:00 PM. Bartholdi Park is open every day of the year from dawn till dusk. Find additional information, including any extended hours, on our Hours and Location page. If you are looking for a quieter time to visit, the months of January-early March and mid-July-early September tend to be the least crowded. Please note that we do experience extreme heat conditions during the summer months. Breast-feeding is welcome in all areas of the Garden. There are no private breast-feeding lounges or lactation stations for electronic pumping. Refrigeration or the heating of expressed milk or formula is not available. If you need immediate assistance at any time, please report to the front desk. The U.S. Botanic Garden accommodates the use of some Other Power-Driven Mobility Devices (OPDMDs), which are vehicles that are not wheelchairs, but rather are electric devices designed primarily for use by individuals with mobility limitations. In the interest of maintaining a safe and pedestrian friendly environment while at the same time ensuring that everyone has a positive experience, it is prohibited to operate a mobility device at a speed greater than the flow of the surrounding pedestrian traffic. Permitted mobility devices include electric OPDMDs and other single-seat electric scooters with three or more wheels that cannot exceed more than 6 miles per hour and Segways(r) with a steering handle are permitted but must operate only in "turtle" mode. Designated accessible parking on Maryland Avenue SW for vehicles bearing a valid Department of Motor Vehicle (DMV) disability parking placards or license plates is available on a first-come, first-serve basis. We encourage our visitors to take public transportation whenever possible. Please visit the Washington Metropolitan Area Transit Authority Metro's Accessibility website to learn more about accessible public transportation options. A general sensory tip sheet provides an overview of the different areas of the indoor Conservatory. We welcome service dogs that are trained to work or perform tasks for an individual with a disability in all areas of the garden unless the dog poses a direct threat, is not housebroken or is not under the control. Pets are not allowed on USBG grounds. Strollers are welcome on the grounds of the U.S. Botanic Garden. Personal property must be in the owner's possession at all times. There is no stroller parking available. The Garden's Map and Visitor Guide is available in nine languages and may be picked up at the front desk or downloaded as a PDF here: English, Chinese, French, German, Italian, Japanese, Korean, Russian, and Spanish. Braille and large print guides are available at the front desk upon request and a PDF version of the large print guide may be downloaded here. Upon arrival, please feel free to stop at our front desk where trained staff and volunteers can provide information and updates on the daily schedule and calendar of events. The Garden is a living collection and changes in displays and navigation may occasionally occur. The Garden team is here to help you plan your onsite visit to ensure a successful museum experience. Drinking fountains are located in the south of the indoor Conservatory near the restrooms. During Season's Greenings, the annual holiday show (late November through early January), the U.S. Botanic Garden experiences high visitation. The popular model train display requires a separate entry point often resulting in a line. Individuals and caregivers of visitors that are unable to wait in line due to sensory-processing and/or cognitive developmental disabilities may request, in advance, an easy access pass to advance through the line. As a courtesy, we ask that you limit the party size to four individuals. Additionally, two sensory-friendly programs are scheduled during the holiday show that provide early entrance for registered participants, pre-visit materials, and a take-a-break space. Please contact Maura Nelson, mnelson@aoc.gov or 202-226-1047 for more information on the easy access pass or sensory-friendly programming. Accessible facilities and children's changing tables are found in both men's and women's restrooms. In cooperation with the Office of Congressional Accessibility Services, the U.S. Botanic Garden offers sign language interpretation upon request. If possible, please allow at least 5 business days advanced notice to schedule an interpreter. Upon arrival, please feel free to stop at our front desk where trained staff and volunteers can provide information and updates on the daily schedule and calendar of events. The Garden is a living collection and as such changes in displays and navigation may occasionally occur. The Garden team is here to help you plan your onsite visit to ensure a successful museum experience. The Garden loans wheelchairs to our visitors as a courtesy on a first-come, first-serve basis. A valid driver's license or government-issued picture identification card is needed to borrow a wheelchair. Your ID will be returned to you when you return the wheelchair. Wheelchairs are to remain on U.S. Botanic Garden property. Assisted Listening Devices (headsets and receivers) are available upon request for all guided tours and public programs. The headsets are compatible with hearing aids. The Garden's audio tour is accessible by cell phone. Sensory bags are available to borrow from the Visitor Information desk. A valid driver's license or government-issued picture identification card is needed to borrow a sensory bag. Many individuals with autism spectrum disorders (ASD) and/or sensory processing disorders (SPD) experience difficulty with everyday sensory stimulation; this can be related to noise, touch, taste textures or a variety of sensitivities. Items available to borrow include noise-reducing headphones, weighted lap blankets, and a selection of fidgets to help ease sensory stimulation. These resources are also available for all public programs. For a complete list of items available, please contact Maura Nelson at mnelson@aoc.govmnelson@aoc.gov or 202-226-1047. For any questions or more information about public programs, contact Maura Nelson, mnelson@aoc.gov or 202-226-1047. Quarterly early openings provide museum access to individuals with cognitive and sensory processing disabilities and their families by offering early entrance for registered participants, pre-visit materials, and a take-a-break space. These programs are coordinated in conjunction with current exhibits. Sensory bags are available to borrow from the Visitor Information desk. A valid driver's license or government-issued picture identification card is needed to borrow a sensory bag. Many individuals with autism spectrum disorders (ASD) and/or sensory processing disorders (SPD) experience difficulty with everyday sensory stimulation; this can be related to noise, touch, taste textures or a variety of sensitivities. 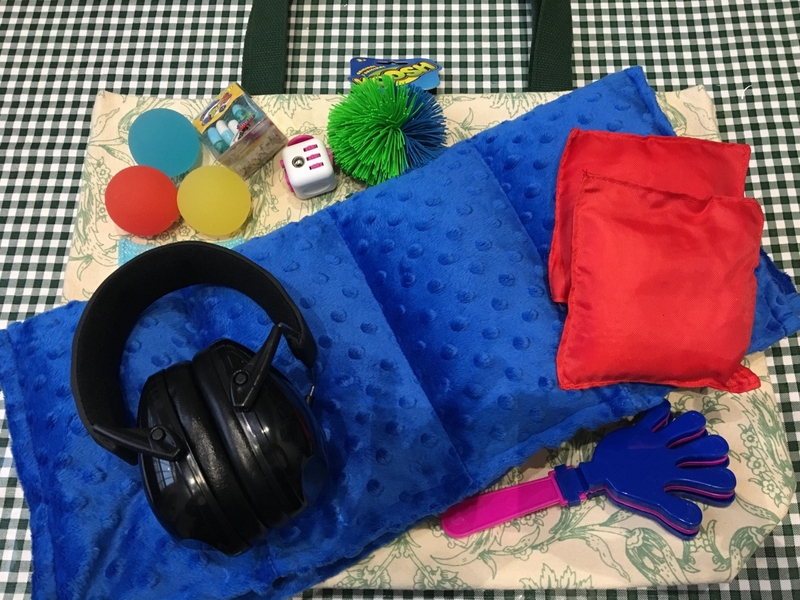 Items available to borrow include noise-reducing headphones, weighted lap blankets, and a selection of fidgets to help ease sensory stimulation. These resources are also available for all public programs. For a complete list of items available, please contact Maura Nelson at mnelson@aoc.gov or 202-226-1047. Experienced educators work with both children and adults at all developmental and cognitive levels. A tailored onsite experience is available upon request. If you are a classroom teacher looking to schedule a field trip, please visit our Planning Your Field Trip page. Programs for special education/inclusion classrooms, community, family and adult day support groups include enhanced sensory opportunities and tactile experiences. Guided tours allow all individuals to experience the living collection and the U.S. Botanic Garden's unique history. To reserve a group tour, please visit our Tour page to learn more.